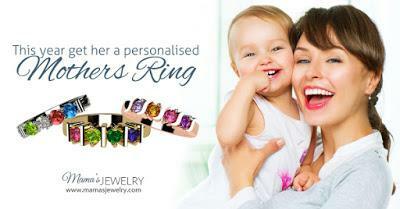 A Special Mother's Day Offer from Mama's Jewelry! Moms work hard 365 days out of the year, so why give them another predictable gift this Mother's Day? With the exquisite collection of mothers' rings from Mama's Jewelry, you're bound to make this the most unforgettable Mother's Day yet! Each time she looks down at her ring, puts on her earrings or is asked about her necklace, she'll remember just how much she's loved. Disclosure: I will receive a complimentary product sample to facilitate a future review.